The Japan Society was a proud screening partner of The Third Murder at the Toronto Japanese Film Festival 2018. We're excited to let you know that the film will be playing at TIFF Bell LightBox from July 20, 2018. This riveting legal drama is an intricate and surprising change of pace from acclaimed Japanese director and recent Palme d'Or winner Hirokazu Kore-eda (Still Walking,Shoplifters). 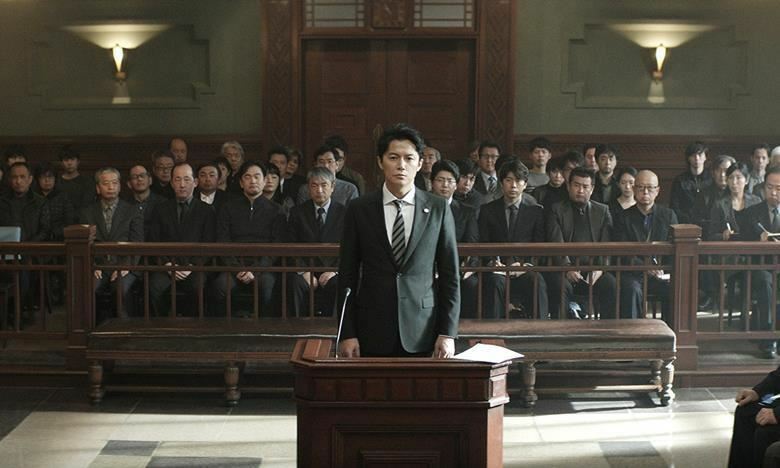 A jaded defense attorney (Masaharu Fukuyama) reluctantly takes on the case of a factory worker and former convict who pleads guilty to the murder of his employer-and finds himself in deep water when the client's story keeps changing. Is this man devising a sinister cover-up or simply losing his mind? You can view the trailer here. Showtime and ticket information are available here.